The peoples of Sumer are among the earliest denizens of Mesopotamia. By about 4000 BCE, the Sumerians had organized themselves into several city-states that were spread throughout the southern part of the region. These city-states were independent of one another and were fully self-reliant centers, each surrounding a temple that was dedicated to god or goddess specific to that city-state. Each city-state was governed by a priest king. 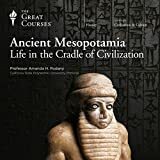 Though they shared the Sumerian language as a form of communication, these city-states shared little else, and were in a constant state of warfare, often battling each other for control over water supplies and the fertile land. A typical Sumerian city was well fortified with thick, tall walls, which the king was responsible for maintaining, in hopes of deterring would-be attackers. Within a Sumerian city’s walls were avenues that were used for religious processionals, and high, stepped temples know as ziggurats. Sumerian cities often had several ziggurats, each dedicated to a different god or goddess. While the king of a Sumerian city lived in a luxurious palace, most of his people lived in very small thatched houses that were crowded together and separated by narrow alleyways. This was evidence of a distinct social system that was in place in Sumer. The highest class was the ruling class and priests. The only middle class to speak of was made up of merchants, scribes, and artisans. The majority if a city-state’s people were considered the lower class, and that class was made up mostly of farmers. While these farmers could and did own and work their own land, they were often made to work government-owned land instead. The Sumerians saw most of their wealth & success from trade. The Sumerians saw most of their wealth and success from trade. Artisans such as weavers and potters would sell their wares to traders who had traveled the rivers or the desert. The fertile land (the area was known as the Fertile Crescent) upon which they lived provided a successful agriculture industry as well. The government of Sumer grew very complex as history progressed, and each city-state had begun to collect taxes and employed scribes to keep meticulous records. Each city-state had complicated irrigation systems, whose management the ruler oversaw. And the ruler also took on the role of chief priest, leading rites and procession in order to honor the gods. Religion was very important to the Sumerians. They, like most cultures from ancient history, were polytheistic, believing in and worshipping several gods at once. They believed that the gods controlled everything, and that keeping them happy was of utmost importance. This, they believed, would keep their city-states strong and intact. And thus marks the end of the supremacy of one of the world's earliest organized civilizations, a people whose development and innovations have chaped our own civilization, and some of whose concepts are in use even today. Dominique Collon. Ancient Near Eastern Art. (British Museum Press, 1995). writer873, . "The Sumerians of Mesopotamia." Ancient History Encyclopedia. Last modified January 18, 2012. https://www.ancient.eu/article/37/. writer873, . "The Sumerians of Mesopotamia." Ancient History Encyclopedia. Ancient History Encyclopedia, 18 Jan 2012. Web. 26 Apr 2019.